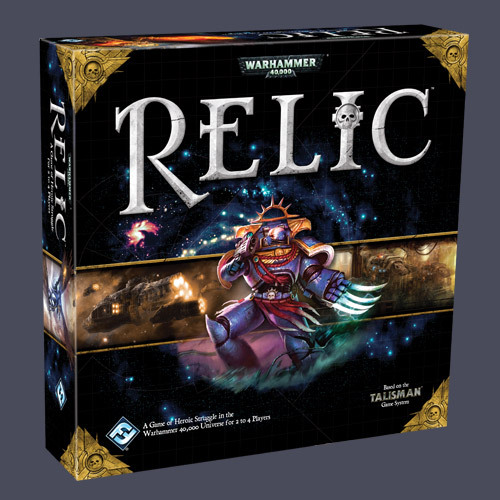 I've had my eye on Relic for a while, FFG's 40k-ized take on that old chestnut, Talisman. It finally released earlier this month and my FLGS got a copy in for me. While I haven't had a chance to play the actual game as yet, I have read through the rules and marveled at FFGs usual standard of excellence in their game's production values. The game comes with a number of character busts to represent the various heroic archetypes, and rather than let them just sit in grey plastic, I thought I'd try my hand at painting them up (with various levels of success thus far, I'll admit). First up is the ubiquitous Space Marine, and naturally it was an ubiquitous-even-for-marines Ultramarine. Not my favorite chapter by any stretch of the imagination, but simple enough to bang out. The busts aren't as crisply detailed as I may have liked, but well enough to get the basic point across. I'd say they're on par scale-wise with the old Inquisitor 54mm models, but nowhere near as detailed. Of course, there are limits to what FFG can do, and I totally appreciate the inclusion of the busts as opposed to the old cardboard standups one used to get with Talisman of old! Next up is the Adeptus Sororitas model, and to be honest now that I've taken some pics of it I'm not really happy with how the face turned out. I can do better than this, darn it! She'll be going back under the brush to try and give her a bit more definition. This is the model that I felt was the most poorly cast, the face doesn't have much in the way of sculpted relief, so I'm going to have to fake some detail in with more shading and washes. The last of the three I've painted thus far is the Sanctioned Psyker, and unlike the Sororitas above, I'm pretty pleased with how his face turned out. I'm trying to match the artwork of the characters provided on the cards that come with the game, which has been interesting. This scale is somewhat odd to work with as well, but has been an entertaining exercise. Three down, seven more to go! 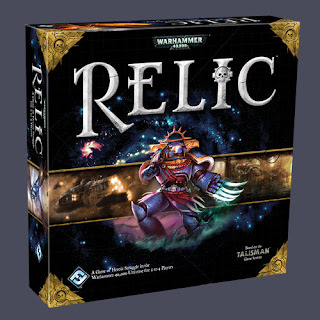 I do like the look of Relic, I must admit mainly just for the busts which I know I could find a place in some terrain. Apart from the one face (which I agree with you on) the three above are looking very good. The only thing I would add is a bit of verdigris to the bronze looking cannister on the Psyker. @Rictus: I was thinking the same thing initially as far as using them as terrain pieces. Good call on the verdigris on the cannister, I'll be doing that tonight! @Zab: It's been a fun change of pace to paint something at such a radically different scale, for sure. Some of the busts are more crisply-casted than others I'm finding. The Ogryn in particular is a great sculpt! The Sororitas left me a little disappointed, though. Still, fun stuff!